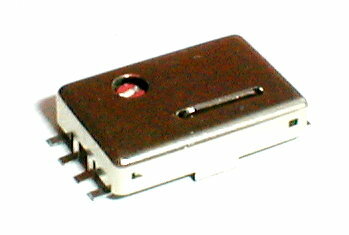 This smd TCXO / VCTCXO series is a surface mount tcxo with a size of 18.3x11.7x4.5mm. Temperature ranges to -40° to +85°C. are available. Its low phase noise and tight stabilities make it a perfect fit for many applications such as wireless communications, test and measurement instruments, and telecom applications. Supply Current CMOS/TTL 50mA max. Output level CMOS - VOH=.9VDD min., VOL=.1VDD max. TTL - VOH=2.4V min., VOL=.4V max.